12" black version with a blank 2" run in groove. 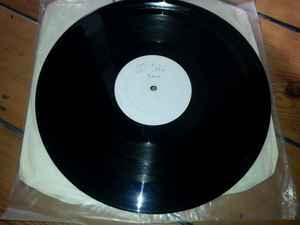 Is similar to the other 12" test pressing, apart from this pressing has two unknown tracks pressed in the blank run in groove. Some copies have this scored out to make the tracks unplayable, whilst copies exist with no damage. Vocal from Taylor Dayne's "Do You Want It Right Now". Shout 2 Dice, RNS, Bombsquad, Peach, Excess, All at Rugged Vinyl, Ray Keith, Squirrel. My PNT 50R has the other two tracks scored out but it has exactly the same writing on the label as shown on the PNT 050R release page, "Darkage" and "Axis" written in red pen with the other writing in black pen.